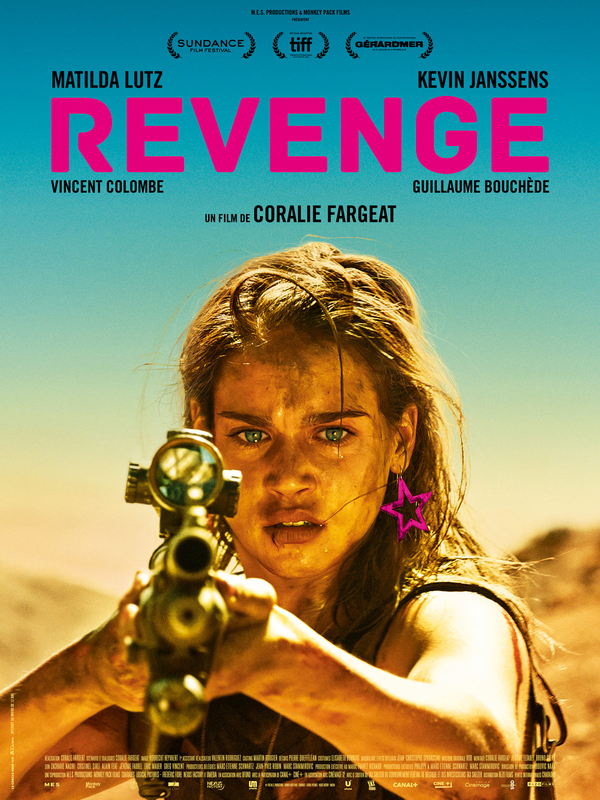 Coralie Fargeat's intense thriller Revenge will open in its home France on February 6th. A poster was just released along with a bloody fresh trailer for us to look at. Our own Shelagh Rowan-Legg caught Revenge in Austin last September. You can read her full review (link below) but here is an excerpt from that review. At once a subversion of the subgenre and a fearless examination of how we view the behavior of men and women, Revenge covers a large literal and proverbial thematic ground, all the while hitting the ground running on energy and tension, keeping the audience squirming on the edge of their seats.